I've arrived in Forte Dei Marmi at our bed and breakfast meets front page of Architectural Digest hotel. I've never stayed anywhere quite like this before-- we drove up a narrow, windy vineyard road in Camaiore, Tuscany, a town or two over from Forte Dei Marmi, to find a mansion fit for Italian royalty awaiting us (and the 11 other guests who can occupy their 12-room glamorous bed and breakfast, or as they refer to it, "guest house"). 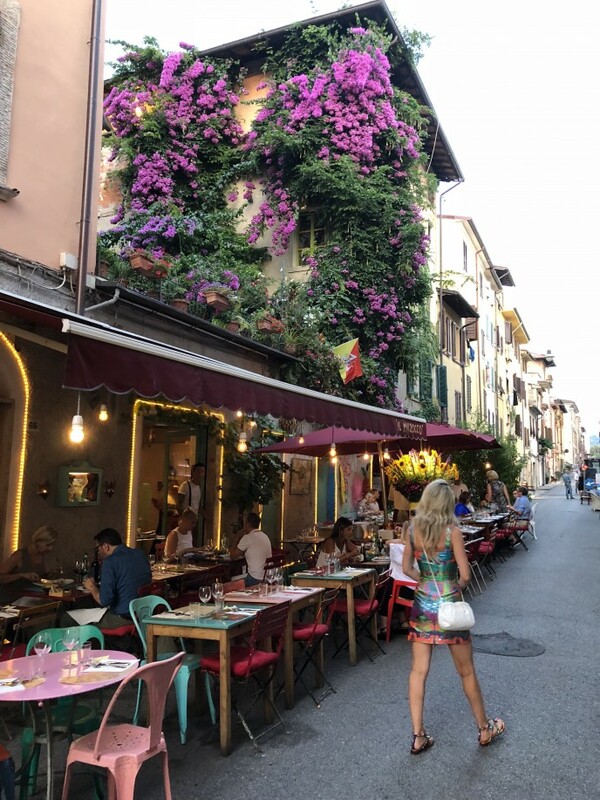 We opted to stay here at Locanda Al Colle instead of on the beachfront in Forte Dei Marmi because we wanted a true Italian countryside experience. And it delivered! Surprisingly enough, Forte Dei Marmi reminds us a lot of Aspen (if Aspen was on the ocean). The people are ultra glamorous yet understated, the luxury shops crammed in every possible corner around town are open until midnight (which leaves lots of room for post-dinner wine-induced shopping), and biking around is the preferred method of hopping from beach to lunch to dinner. Oh, and the beach clubs... they deliver fun in the form of either ultra-relaxing private cabanas, equip with masseuses to drop-in for 20 minute back rubs, or a complete "180" beach experience-- champagne-spraying, cabana trampoline dancing, no regrets day parties-- depending which beach club you choose. Here we are at Nikki Beach in Versilia, Tuscany. It was one for the books! We spent another day at a relaxing beach club in Forte Dei Marmi, exploring the waterfront by bicycle. 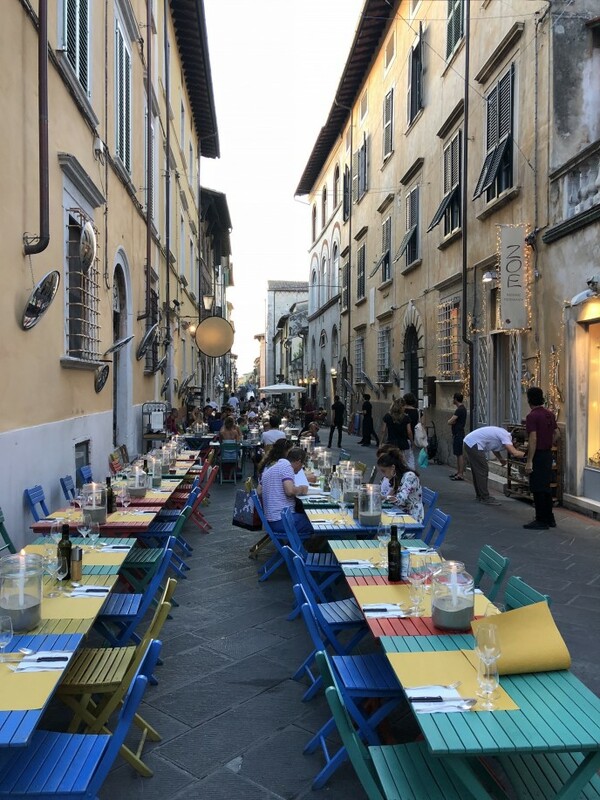 Another incredible way to spend an afternoon or evening is to visit Forte Dei Marmi's neighboring town, Pietrasanta. Pietrasanta is a medieval town that is a sanctuary for international sculptors and artists. Art galleries, outdoor art installations, unique women's clothing stores, and sidewalk restaurants line the narrow cobblestone streets. The main part of town is closed off to cars, so strolling the streets by foot, hand in hand, is a true pleasure. We also took a 20 minute drive outside of town to Pisa. We couldn't miss the iconic leaning tower, and it was just too instagramable to resist! How'd I do?